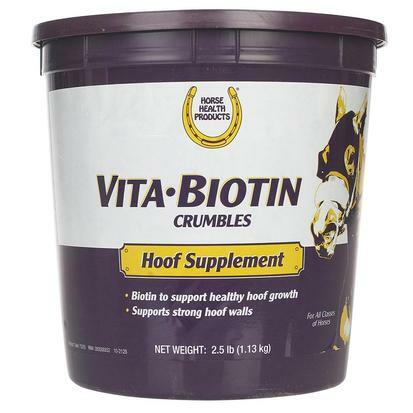 Vita Biotin Crumbles is a horse hoof supplement that provides biotin to help maintain healthy hooves. Biotin plays an important role in the metabolism of carbohydrates, fats and proteins. 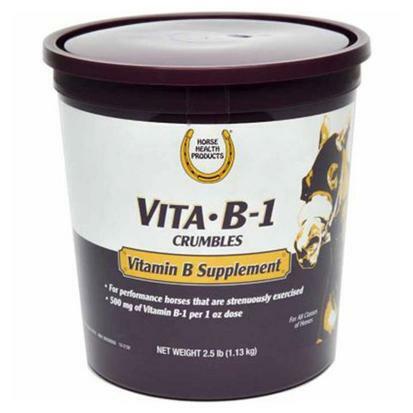 This product contains the Thiamine (vitamin B-1) supplement for horses that are strenuously exercised. Thiamine is necessary for normal growth and muscle activity. The Red Cell Pellets supports normal blood cell health essential for transporting oxygen, maintaining energy and meeting performance demands. The product also helps maintain normal cardiovascular recovery. Contains 300 mg. of iron per half ounce. Includes B-complex vitamins for immune system support. Palatable yucca-flavored pellets may be mixed with feed. 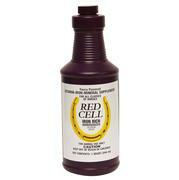 Red Cell is a yucca-flavored supplement formulated to provide important vitamins and minerals that may be lacking in your horse’s daily diet. Supports normal blood cell health, essential for oxygen transportation, maintaining energy and performance demands. Helps maintain normal cardiovascular recovery. Shur Hoof is a deeply penetrating moisturizer that contains 50% fish oil, 40% pine tar, linseed oil, wheat germ oil, neatsfoot oil, povidone, and venice turpentine. It is designed for dry, brittle, and hard hooves. 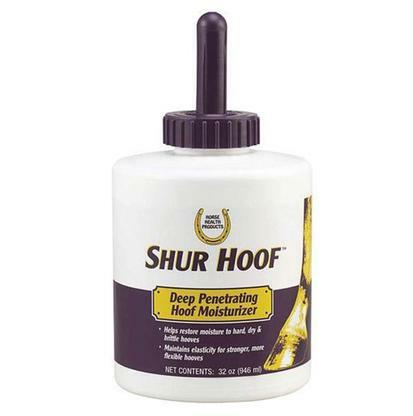 Shur Hoof restores moisture and improves pliability. Vitamin B-12 is required for the normal production of red blood cells. 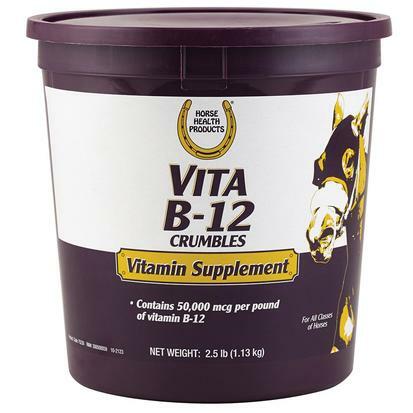 The Vita B-12 crumbles are recommended for all classes of horses. One ounce measuring scoop included. 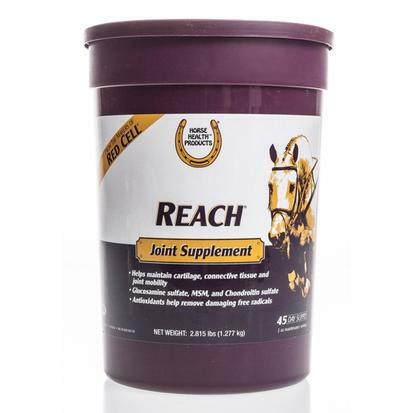 Reach Joint Supplement is an ideal way to support healthy joints throughout all of your adult horse's years. With its combination of glucosamine, MSM, chondroitin sulfate, antioxidants and perna mussel, Reach helps support healthy cartilage, connective tissue, and normal joint mobility. 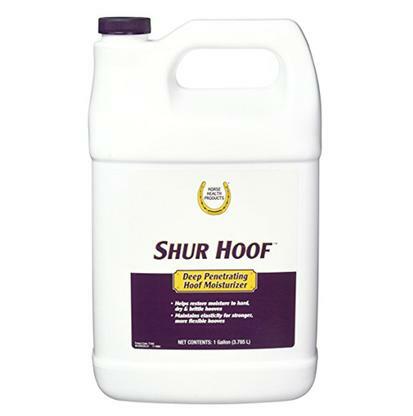 Shur Hoof Supplement in pellet form aids in treating weak, cracked, dry hooves. Contains essential amino acids lysine (min 0.44%) and methionine (min 0.265%) for growth and tissue and 20 mg biotin per serving. This post event muscle recovery paste helps horses recover faster and aids in proper muscle function and repair with branch chain amino acids. Also, the recovery paste maintains and minimizes post-exercise muscle breakdown that occurs after intense training/competition. It replaces electrolytes lost through sweat and supplies antioxidants that decrease oxidative stress associated with strenuous exercise. 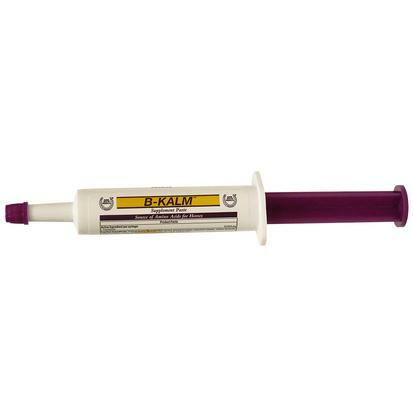 B-Kalm Paste has essential amino acid L-tryptophan to aid in relaxing nervous horses before racing, showing or shipping. Contains no drugs and will not test positive. 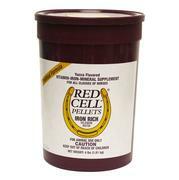 Penetrating moisturizer that improves pliability of brittle, hard, and dry hooves. Ingredients include fish oil, pine tar, linseed oil, wheat germ oil, neatsfoot oil, povidone, and venice turpentine. 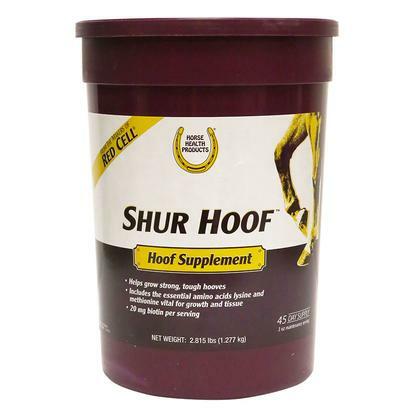 Shur Hoof can be used 2-3 times a week or more if required. This is the economical gallon size of Shur Hoof. 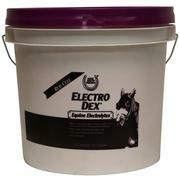 Electro-Dex by Horse Health supplies the electrolytes active horses may lose in training or competition. 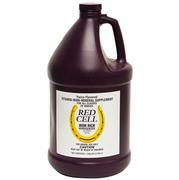 The cherry-flavored micro-blend is for use in feed or drinking water. Salt based. Electro Dex may be administered in the horses feed or drinking water at the rate of 2 ounces per 10 gallons of fresh water, or 2 ounces in the horses daily feed ration in place of regular salt. Important: When administered in water, allow no other source of drinking water. 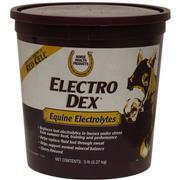 Horse Health Electro Dex Electrolytes delivers sodium, calcium, potassium, and trace minerals to maintain body fluids, which are often depleted during periods of stress. Salt based. Electro Dex may be administered in the horses feed or drinking water at the rate of 2 ounces per 10 gallons of fresh water, or 2 ounces in the horses daily feed ration in place of regular salt. Important: When administered in water, allow no other source of drinking water. 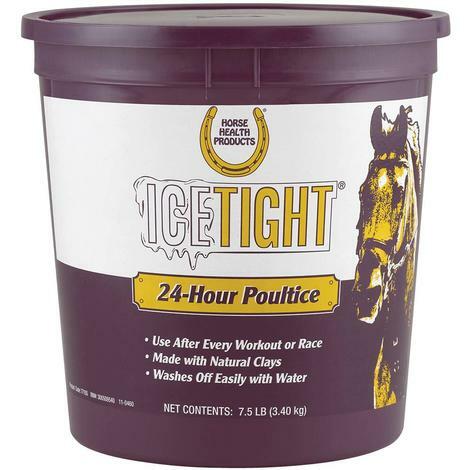 The 5 lb pail will last an average horse up to 40 days. 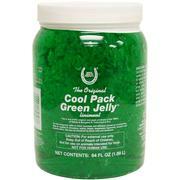 This cooling jelly draws out heat and soreness while cooling, soothing, and tightening. The thick jelly goes on easily and can be covered with brown or white paper. Provides temporary relief of soreness and stiffness caused by overexertion. This product will not blister and is good for sweats.